UPDATE: THE EARLYBIRD TICKET SALE HAS BEEN EXTENDED!!! $75 OFF!! BUY YOUR TICKETS NOW! Greetings! Our Earlybird Sale has been off to such a great start that we wanted to share one extra week of gratitude by extending our sale to March 15th! CLICK HERE to purchase. 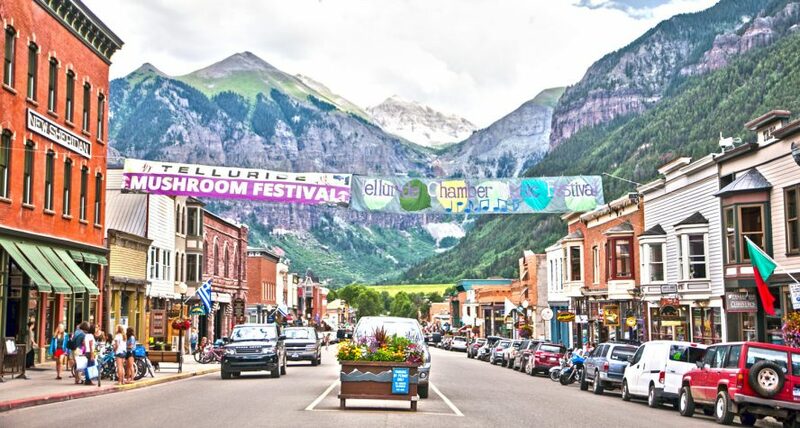 Earlybird tickets for the 39th Annual Telluride Mushroom Festival – Aug. 15-18, 2019 — are set to go on sale February 1st. This year’s theme, according to Festival Director, Dr. Britt Bunyard of Fungi magazine, will be “Healing the Mind, Healing the Planet” and will feature a raft of myco-luminaries including Prof. Emeritus of Pharmacology at Purdue, Dr. David Nichols, founder/director of Chile’s Fundación Fungi, Giuliana Furci, Mushroom Mountain’s Tradd & Olga Cotter, and the weed&shroom-loving Wise Woman of the San Juans, Katrina Blair. Earlybird full festival passes will be selling at the discounted price of $225 for the entire month of February. After that, pre-event full festival passes will run $300. As in recent year’s, the Sheridan Opera House will lynchpin Telluride Mushroom Festival headquarters downtown across from Elks Park’s central Mushroom Identification Tent. Special August all-festival shows will be featured in the Palm Theatre on Thursday and Saturday nights. The parade lifts off Saturday afternoon at 4 p.m.
Hi Sharon- T-shirts will be available for purchase day one at the box office! Definitely shirts and more for purchase at start day, we always have great stuff! See you in Telluride! I missed the early bird tickets window. Is there a discount for repeat attendees? Also, when will tickets be available for chefs dinner? Last year it was announced that Michael Pollan would be attending in 2019 – is that still the case? Nope, I’m afraid not. He had to cancel on us during the winter…due to scheduling conflict. He’s super popular. I actually chat with him frequently and he’s eager to come to the Festival and we’re hopeful to see him in 2020. Are early bird tickets still available? A post on March 9th by Art seemed to indicate that. Yes! The Early Bird discount has been extended until March 15!